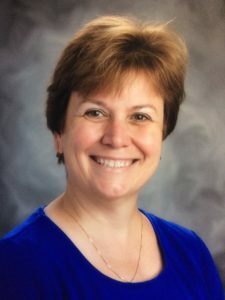 CAS is thrilled to announce that Jill Hale, recently retired principal of Guilford Lakes Elementary School, has joined the central office staff! Jill Hale, retired principal of Guilford Lakes Elementary School, began her work with CAS in September of 2017 serving as Assistant Executive Director of Elementary Programs and Services. Jill began her teaching career in private school in 1982 and moved to public school in 1985. Since that time Jill taught grades 8, 7, 5, 2, and 1 and held administrative positions at the district, middle, and elementary levels. During this time Jill was honored as CAS’ Assistant Principal of the Year and, under her leadership, Guilford Lakes Elementary School was honored to be named CAS’ Elementary School of the Year for 2015-16. Jill is an enthusiastic advocate for school children of every age. She has a special interest in early childhood education and for children with special needs. At Guilford Lakes she implemented the district’s new Bright Connections program that serves young learners with significant developmental delays. Her genuine care for children, their parents, and her colleagues combined with her enthusiasm and playful attitude help her to take pleasure and pride in her work every day. Throughout her career in education, Jill has been active on CAS committees including work with Connecticut’s Office of Early Childhood.